The beauty of designing your own bullet journal is that you can make it very personal! But there are so many possible things to keep track of in a planner. What I find important to track myself may not have any use for you. However, you don’t have to worry getting stuck between what and how to track. 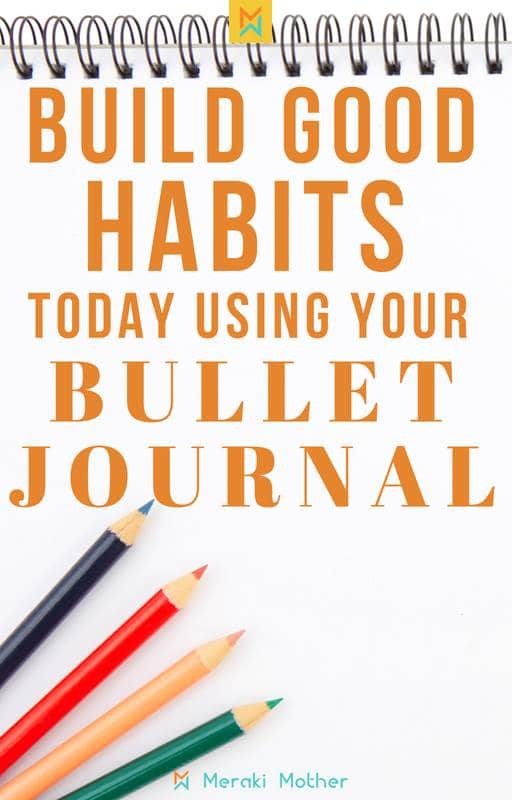 We have a list of habits to track in your bullet journal below, you just have to pick which apply to you. there is a infinite amount of things that you could track, from brushing your teeth to paying bill. A word of caution though; be mindful of what you are tracking. We can get caught in this word of tracking everything but it can become counter productive. And that is not a bad thing; some habits are not daily tasks, but if you add them to you tracker bullet journal and don’t tick them off often enough, it might discourage you do keep tracking. So if you want to track actions that you don’t plan to do every other day at least, then it is best to put them in a weekly tracker or monthly habit tracker. Keep reading if you are looking for an efficient habit tracker template too, we have lots of ideas and inspiration below on what habits to track. These are great to keep tabs of your health as well as mental and physical well being. Here we also listed tracker for relaxation and self care activities, like reading for instance. 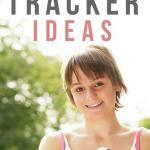 Below are some ideas for your health habbit tracker. My most favorite ones to have are definitely the mood tracker, the weight tracker and the fitness tracker for bullet journal. Tracking productivity and time management is in the essence of bullet journaling. Don’t forget to add for instance a time tracker for bullet journal in your habit tracker list or goal tracking notebook. If you are a blogger or social media influencer you might want to track some of your social stats or posting schedule. If you are trying to budget for a trip or save money to buy something, this may be a good thing to add to your weekly habit tracker or monthly goal. 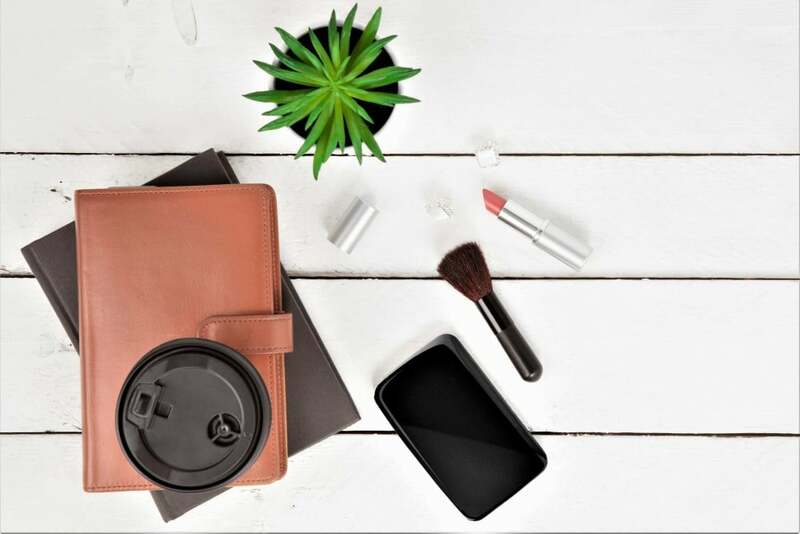 These are just a few ideas of habits tracker to add to your bujo. There are also printable habit trackers that you can glue on your journal or add to a binder if you are not feeling artistic with your bullet journal. 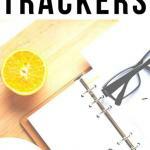 Here are some of my favorite daily and weekly habit tracker ideas. If you are short on space, this plain bujo tracker is a good way to lay your bullet tracker out. This is my go-to tracker and seriously as simple as it gets! However, it is super effective in helping you track habits. Here is the example from my unicorn themed Bullet Journal. If you think the minimalist design is boring, then you just need the right colors to add an extra spark to your simple habit tracker planner. 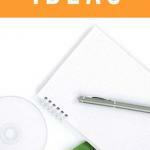 The simple designs don’t get you distracted from the task at hand; tracking. This is how to track habits and stats from your social media in one place. If you like to analyze your tracker notebook at the end of the month this will give you a great overview. 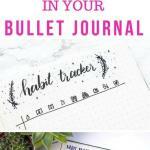 This daily habits tracker bullet journal is another great tracker for your bujo. 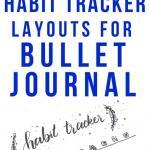 These all around layouts are a fun option to make a beautiful daily habit tracker. Here is another pretty circular habit tracker for bullet journal. Add some artistic element you have this stunning tracker, this goes well for a summer bujo monthly theme. Another great example of circular tracker. This unique habit tracker notebook idea is not circular but follows the same cyclical layout as the above ones, another fun layout to try. This geometric layout is beautifully designed to give you a individual analyse of what you are tracking. This is particular relevant if the things you are tracking are not related to each other. And it doesn’t get any cuter than this ice cream tracker. Or this universe themed bullet journal habit tracking idea! You definitely don’t have to have your habits in the same tracker. This is a good layout to help you analyze habit forming individually. Here is another good example. 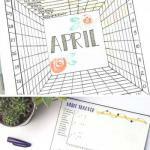 The full month layout will give a good overview of your monthly habit tracker. Some designs make it so fun though, how lovely is this balloon layout? Another habit track bullet journal for a good month overview.